I noticed today that the Creeping Jenny on the right side had begun to emerge from the surface, so I snapped a picture to compare with Wednesday when I planted the bowl. On land, Creeping Jenny spreads out and is ground cover, but when it grows submerged it grows upright. 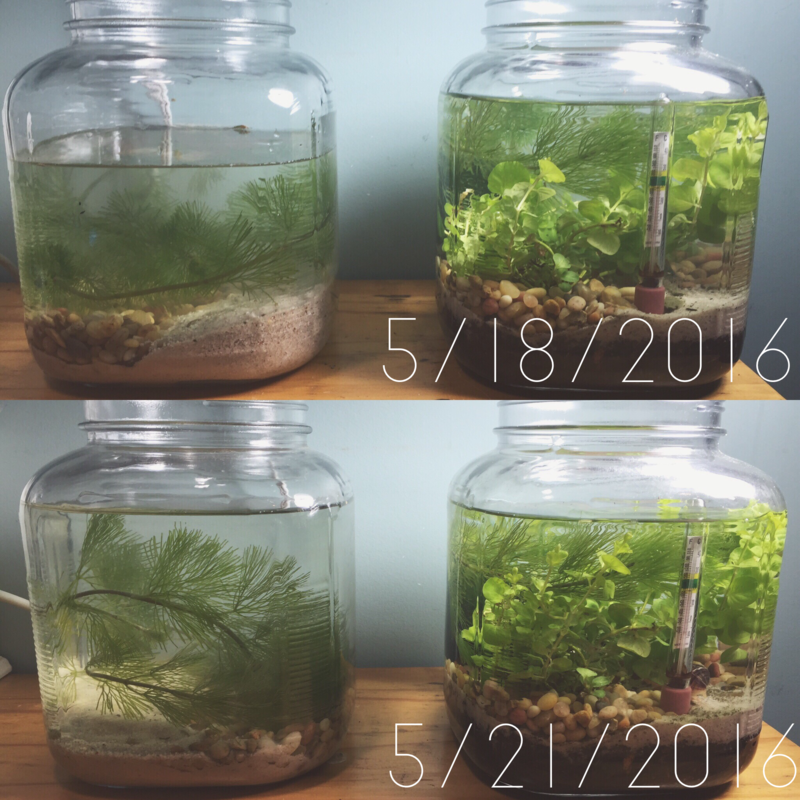 Not sure if I’m seeing actual growth yet, or just adaptation to its new environment, but either way, it’s looking good! Next Next post: Day six! Bowl is cycled!